We wrote a few weeks back that Wander Over Yonder and Gravity Falls were both moving over to Disney XD in the Spring, but we weren’t sure if that meant new episodes. Yep, and after further research that NEW episodes of Wander will begin MONDAY March 31st, which is coincidentally the same day that Cartoon Network and Adult Swim proceed with their time-slot shift. 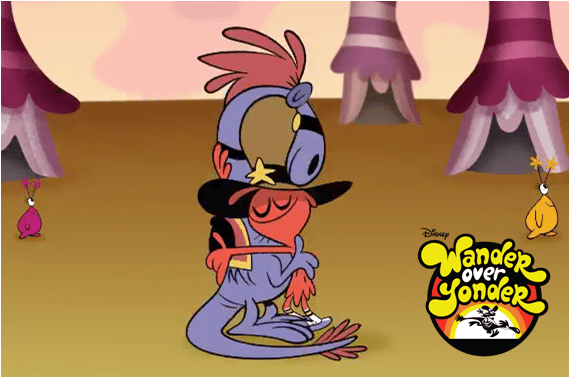 No word yet as to what time Wander will air, whether it will be at its normal 9 pm EST slot that it used to have on Fridays over on Disney Channel or if that will change, but one thing is for sure, Cartoon Network’s prime-time dominance may be coming to an end sooner rather than later. No word yet on Gravity Falls’ status whether new episodes will follow Wander over to Disney XD. However, this is just the latest in rather interesting occurrences on Disney as it pertains to animation due to the fact that they have already cancelled Fish Hooks, and production on Phineas and Ferb is officially on hold.